The latest on Michael Fassbender's next movie, 'The Light Between Oceans', his co-star has been announced as Swedish actress Alicia Vikander. With this confirmation, it appears that 'Oceans' is moving forward with Michael and possibly providing more evidence of him preoccupying himself with other jobs since the Assassin's Creed is coming along so slowly in its development. Some of you may not want to think Creed has been crossed off Fassy's dizzying hectic schedule, and it's not over until the fat lady sings, however, girlfriend's clearing her throat backstage right now before she goes onstage. I personally don't think Fassy's still connected with Creed at this point. Let's hope for more valid confirmation in the coming days/weeks. TGI saturday :-) but better late then never. 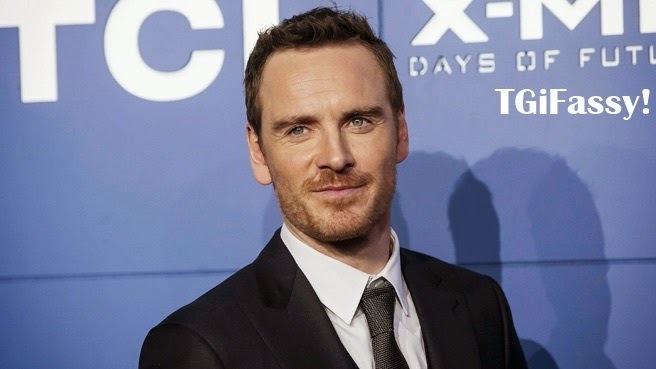 And to be honest...every day is a Fassy day.